†Dietary supplement containing whole fruit cranberries. 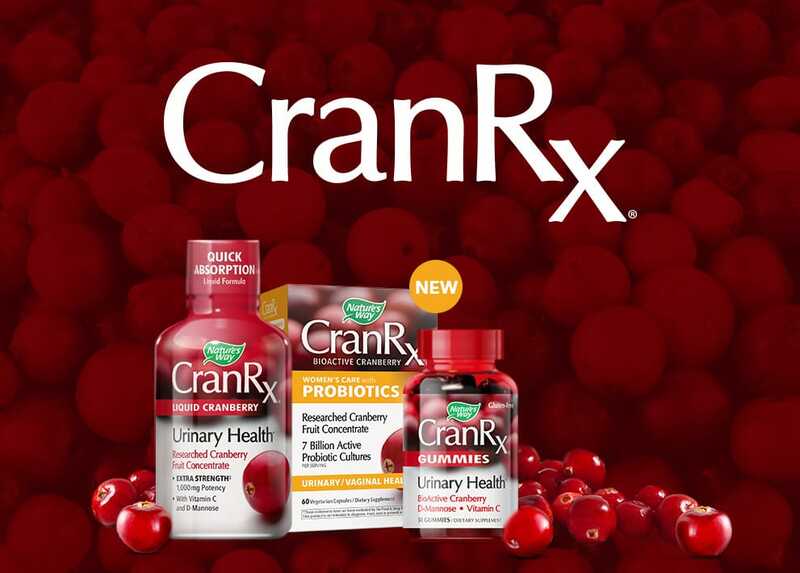 CranRx® liquid, capsules and gummies are made with 100% whole cranberry fruit concentrate to promote urinary health. 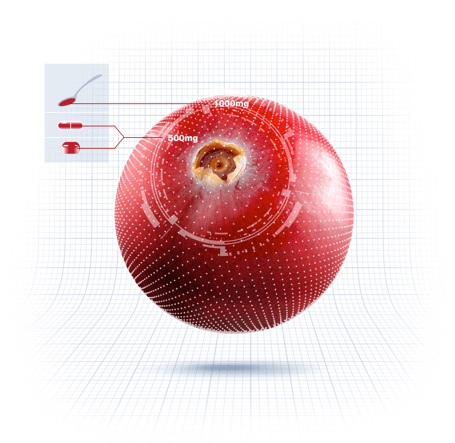 * Each 500 mg dosage is derived from 25,000 mg of fresh cranberries. 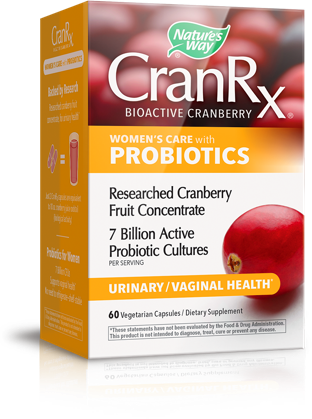 Combines 100% whole cranberry fruit concentrate with 60mg of Vitamin C and three female-focused probiotic strains providing 7 billion CFU.